Between Lattes: Philippe Coutinho: Liverpool's next star player? Philippe Coutinho: Liverpool's next star player? Southampton boss Mauricio Pochettino couldn't have spoken more highly of the young man, having managed him at Espanyol the previous season. 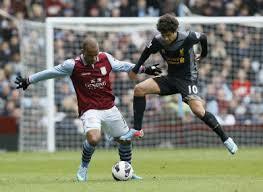 "Philippe has a special magic in his feet. I do think he has that same quality as Ronaldinho and Messi, but he has much to prove yet". Likening Liverpool forward/winger Philippe Countinho to those two footballing geniuses is quite a plaudit indeed; albeit one I consider premature by some measure. But what is clear for all to see is that the kid has quality and, more importantly, potential. What some rival teams might find even more worrying is that, at only 20, he can only get better; and that's the kind of knowledge many Liverpool supporters like me will revel in. Reds fans the world over have already taken to Coutinho, there's no doubting that; and from what I've witnessed so far, I believe he can offer our beloved club that something extra which we'd been missing for a good while now. 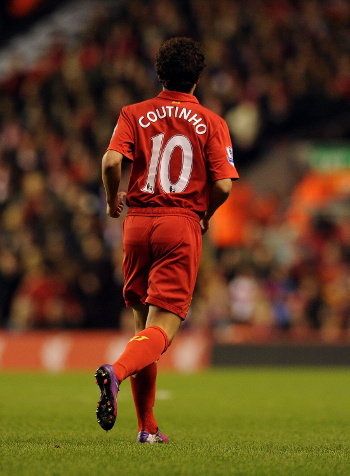 Here are a few reasons why I think young Philippe Coutinho is gonna be a hit at Anfield. 1. He's Got The Magic Touch. Finding the back of the net 3 times in 15 games playing mainly off the bench at Inter Milan isn't a bad return at all - more so twice from 4 starts in the Premier League. That makes Coutinho a most welcome goalscoring threat in this Liverpool side that had (worryingly) been over-reliant on only two players - Luis Suarez and Steven Gerrard - to bang in the goals this season and last. But to become a key man at Liverpool (and carve out a successful career in England), it is imperative that Coutinho maintains this ratio - or better it. Obviously the more he scores or assists his colleagues, the more important he becomes to the team. I hope Liverpool manager Brendan Rodgers gives the lad more run-outs and with that, a chance to prove himself. 2. Advantage: Coutinho. Not many Premier League managers will know an awful lot about Coutinho - apart from Pochettino, that is. As they plan their defences around Suarez, Gerrard and Daniel Sturridge, the Brazilian can hopefully capitalise on the situation by popping up in spaces where he's not expected and take advantage of the space sculpted out for him by his teammates - and in the process, create - or better still, score - a goal or three. Good examples would be his assists for Suarez and Stewart Downing against Wigan as well as his superb goal against Swansea a few weeks back. 3. 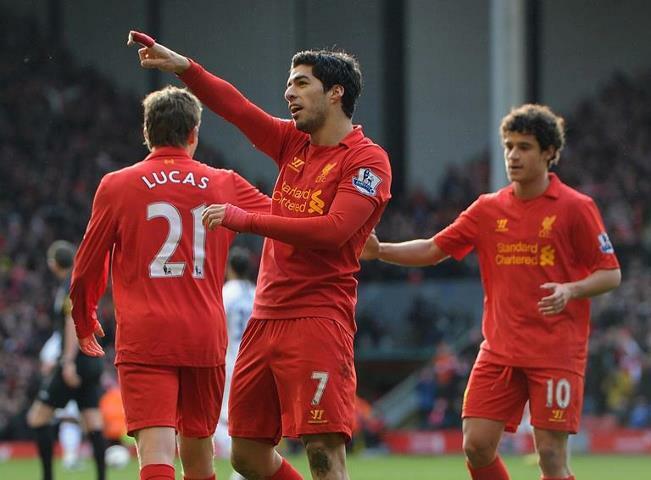 The South American Connection at Anfield. With the ever-improving Lucas Leiva watching his back and the magical Suarez ahead of him, Coutinho has two brilliant South American talents around him from whom he can learn a lot - both on as well as off the pitch. Lucas' presence at Liverpool was clearly key to his diminutive compatriot's arrival and will no doubt continue to play an important role as the youngster gradually settles in. Having Suarez around in particular is of immense help too. With the Liverpool hitman already showing promising signs of good link-up play with Coutinho, theirs is a partnership that can only flourish and improve in the years to come. 4. He's Brave. Not many foreign players can cope with the physicality of the English game. Coutinho's different... he has the right stuff. Slight - even small - as he may be, he's already shown us he's more than capable of standing up for himself and be counted when playing against some big opponents. He himself has admitted that he's not afraid of the physical challenge of the Premier League - which is good to hear. With a suitable fitness programme in place, li'l Philippe will no doubt enjoy a more dominating presence on the pitch (just look at Lucas). This can only be good for the club. 5. The Shirt. Liverpool's #10 shirt will forever be associated with two Kop favourites - John Barnes and more recently, Luis Garcia; both of whom produced some of the most guileful, skillful and entertaining jinking runs down the flanks we've ever seen at Liverpool. In that shirt, Countinho has someone to emulate - and hopefully provide an element of fantasy and hope to a Liverpool side that hasn't exactly been blessed with the greatest talents in recent years. And judging by his performances so far, the similarities are there.... thankfully. All in all, Philippe Coutinho looks well-suited to enjoying a successful career in England. When he was signed over from Inter in January, Brendan Rodgers stressed that he won't be rushing the young Brazilian into games. But with whatever little playing time he's had since January, it's obvious Coutinho has already given his boss something to think about by gradually making at least the left wing position almost his own - and giving teammates like Raheem Sterling and Stewart Downing a run for their money. I have faith in the young Brazilian and have no doubt that he will enjoy a long and successful career at Anfield. Whether or not he's going to be Liverpool's next star player remains to be seen - but for certain what he has is time; as do I, confidence. Remember the name; Philippe Coutinho.